If you are looking for bling then look no further. Our Black Enamel / Diamante Paw Dog Collar Charm is encrusted with diamantes set against a beautiful black enamel background. It attaches to any collar's D-ring with a lobster clip. 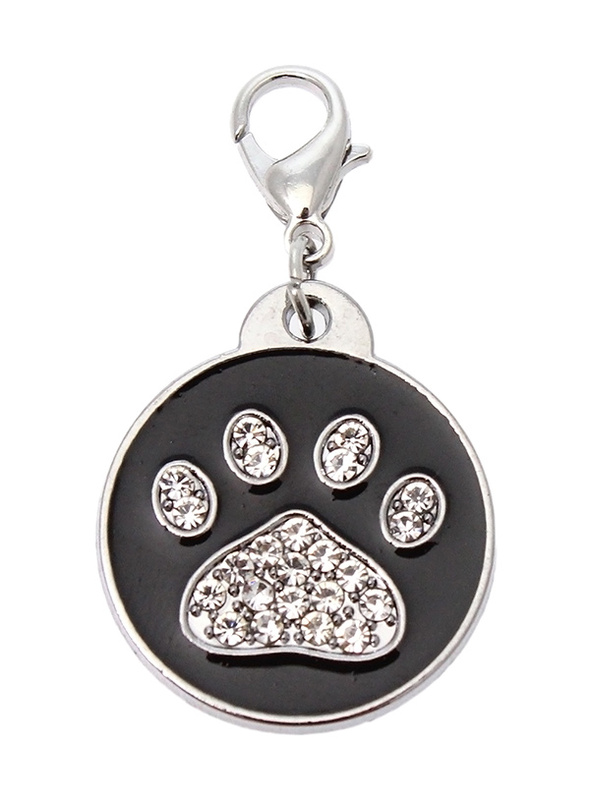 The perfect accessory to add bling to your dog's collar.